Show your love for animals this Valentine’s Day! Don’t Be Cruel is offering a special web store offer. 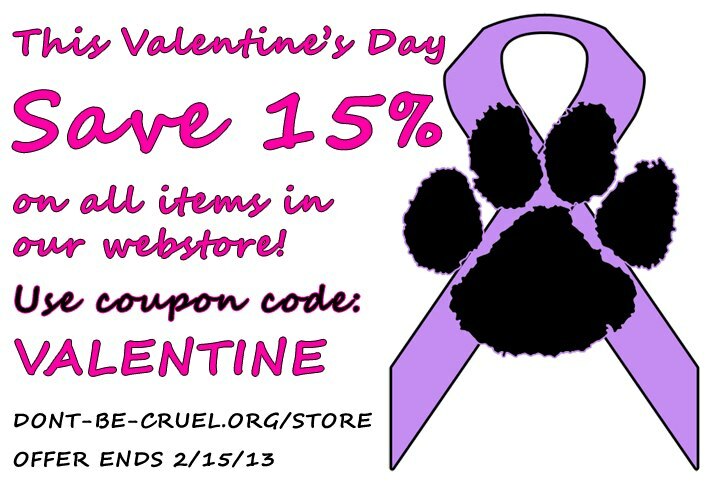 From now until midnight February 15, 2013 everything in the web store will be 15% off. Use coupon code: VALENTINE. This entry was posted in Sales & Promotions on February 14, 2013 by Belkis Cardona-Rivera.